Grafix INCREDIBLE WHITE MASK 4.5 oz. Liquid Frisket 12693 at Simon Says STAMP! 12693 This item is on reserve until If you would like to reserve this item now, you may purchase it now with the rest of your order. We will hold your order now and ship your entire order as soon as this item is back into stock. If you would like your order to ship now, please place this item on a separate order. Success, Grafix INCREDIBLE WHITE MASK 4.5 oz. Liquid Frisket 12693 has been shared! This liquid frisket is a high quality latex that assures an easily removable mask. Non-staining, quick drying and tintable; white mask can be sprayed without having to be diluted. Creates durable, yet removable masking. For use with watercolor paper, board, canvas, wood, ceramics, glass, leather and rubber stamps. Bottle is approx. 4.5 fl. ounce/125ml bottle. 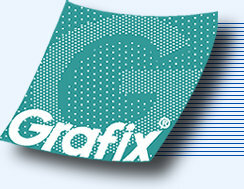 For 50 years, Grafix has been the leader in providing quality plastic films to the art, craft, graphics, drafting and design communities. Over time the uses of these films have changed, but Grafixs commitment to deliver our customers with the information and materials they need remains as strong as ever. Most recently Grafix has expanded products to include plastic film alternatives, fine art accessories and a variety of decorative films developed for the art and craft markets. Grafix continues to offer new and innovative uses for their standard plastic films, as well as the creation of new products to serve the customers' needs.